It's always been hard to explain what Google Voice is because it feels like a VoIP service, but it's not. Google Voice has operated as a phonecall relay system all these years, forwarding your calls through another number. 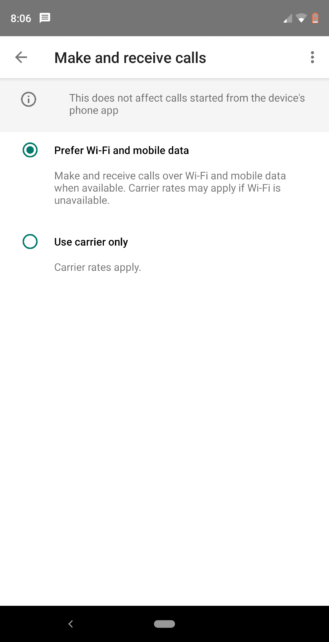 Earlier this year, Google started beta testing Wi-Fi calls in Google Voice, and it looks like the feature is rolling out to more users. As with all VoIP platforms, Wi-Fi calls in Google Voice let you place calls over the internet without using your carrier's cellular phone call system. Previously, you could only join the beta by filling out a Google Form and waiting for approval. 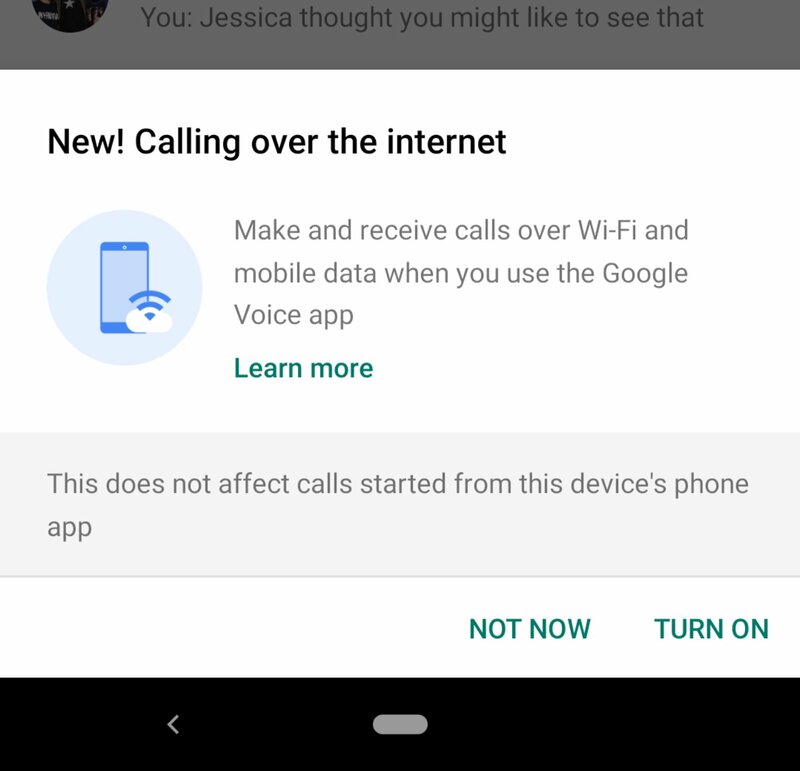 In the last day, we've gotten several tips from readers who say the Voice app prompted them to set up Wi-Fi (or mobile data) calling without joining the beta. The screen above shows the Wi-Fi calling menu in Google Voice. You can choose to place Voice calls over your data connection or with the traditional carrier forwarding system. Importantly, this only applies to calls initiated from Google Voice, and not those you begin with your phone's dialer. Google's support page for Wi-Fi calling in Voice still indicates there's a beta test, but it might be in need of an update. Keep an eye out for this feature to pop up on your own device.